Cuchifritos is pleased to host Trade School, an alternative learning space that runs on barter. Anyone can teach a class, and students sign up for classes by agreeing to bring barter items that the teacher requests. Trade School has hosted classes on everything from squatting the condos (in exchange for a kombucha mother and research help) to making butter (in exchange for herbs and music tips). Trade School will be in session on Saturdays and Sundays throughout the month of March. 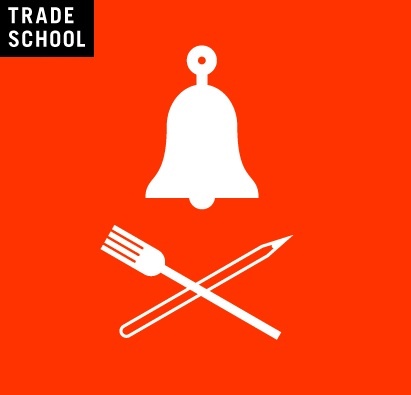 On weekdays, stop by Trade School to propose a class, sign up for a class, or join informal discussions.